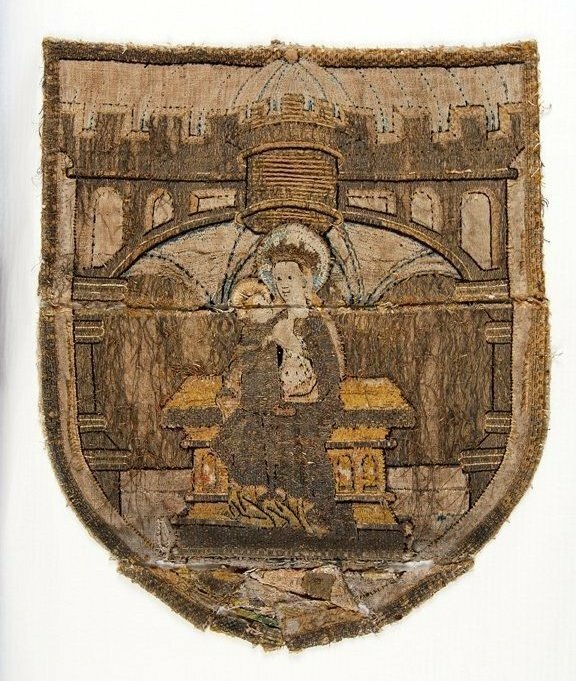 The embroidery is fine work of laid gold threads and colourful silk embroidery which would have fully covered the linen ground fabric. 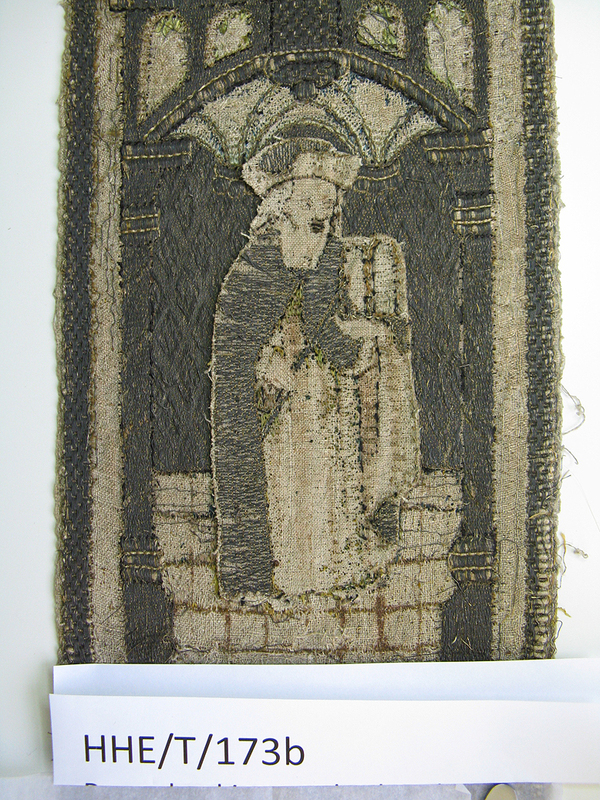 The figures are mostly embroidered separately and then applied onto the Copehoods and Orphreys which are embroidered with architectural surrounds. 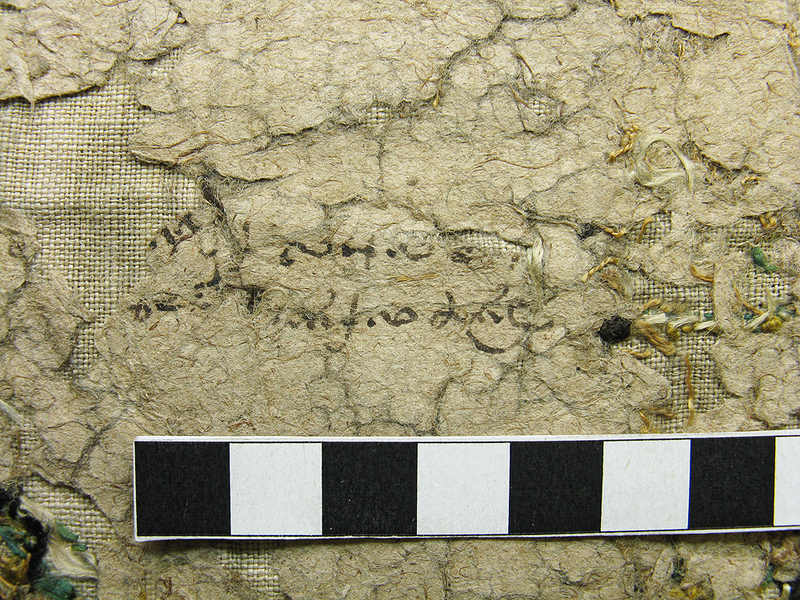 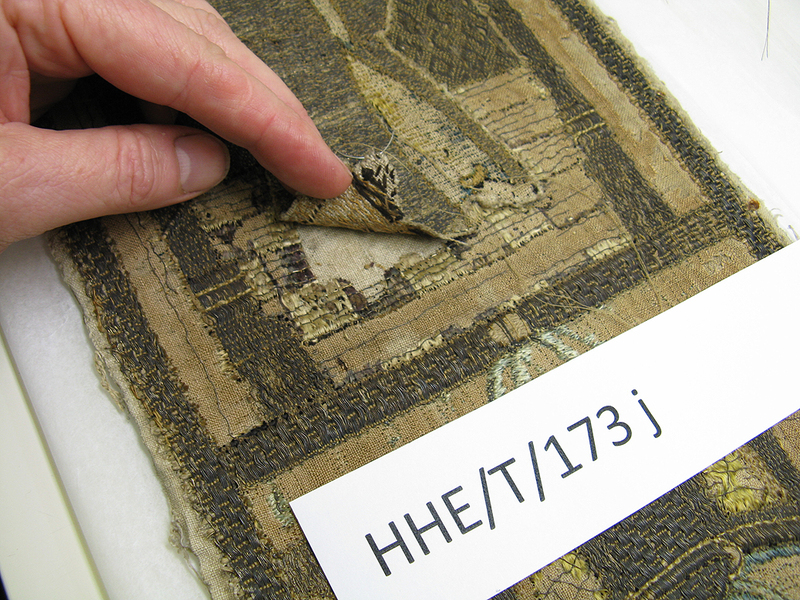 The fragments are all very fragile and have suffered extensive light damage, soiling and general wear. 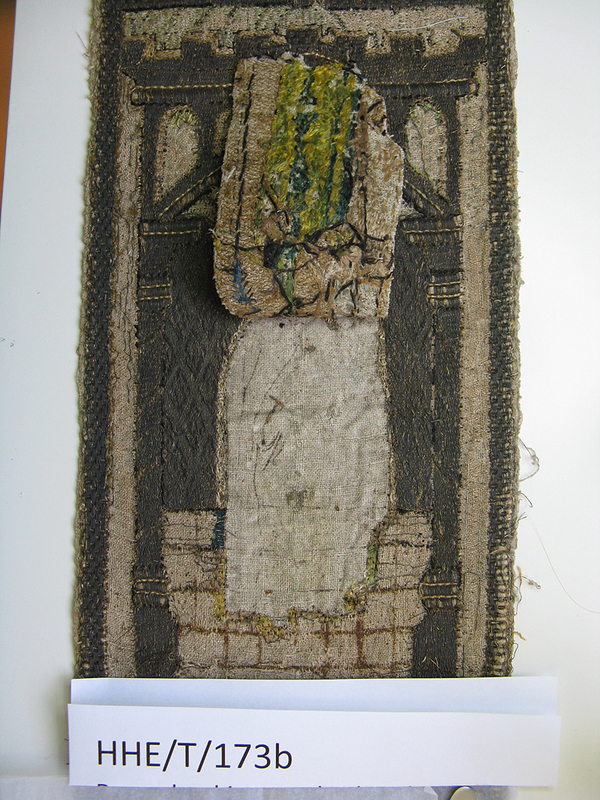 The colourful silk embroidered elements have almost all worn away. 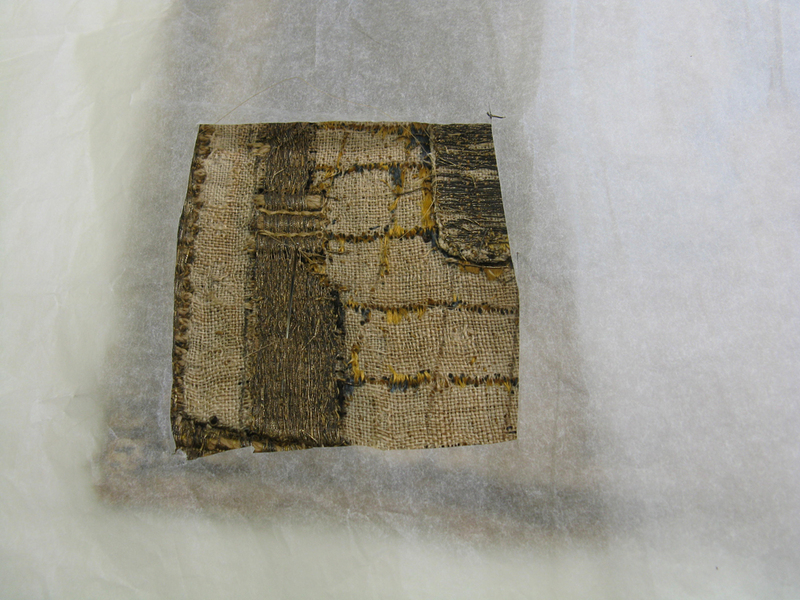 The pieces have also been cut and rearranged at different times in the past, turning some of them into small patchworks. 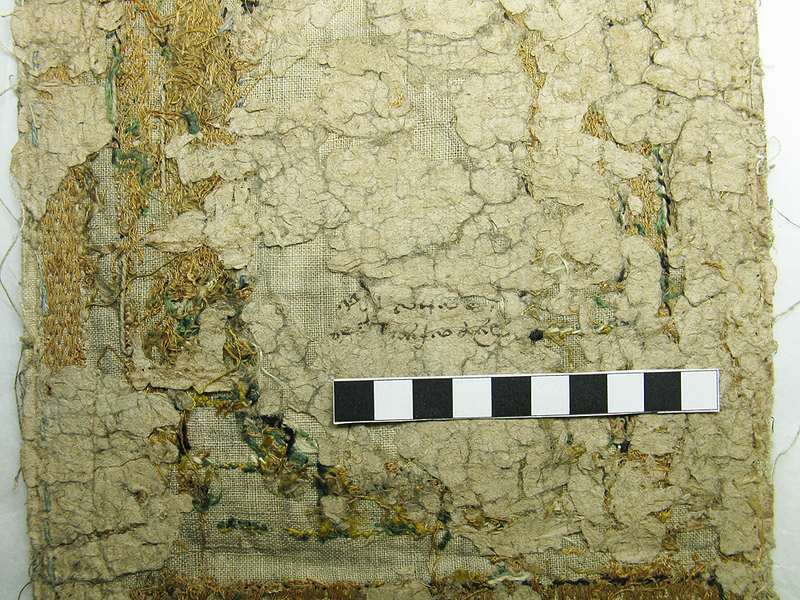 The National Trust wishes to see these precious fragments conserved, and displayed to explain their previous appearance and use. 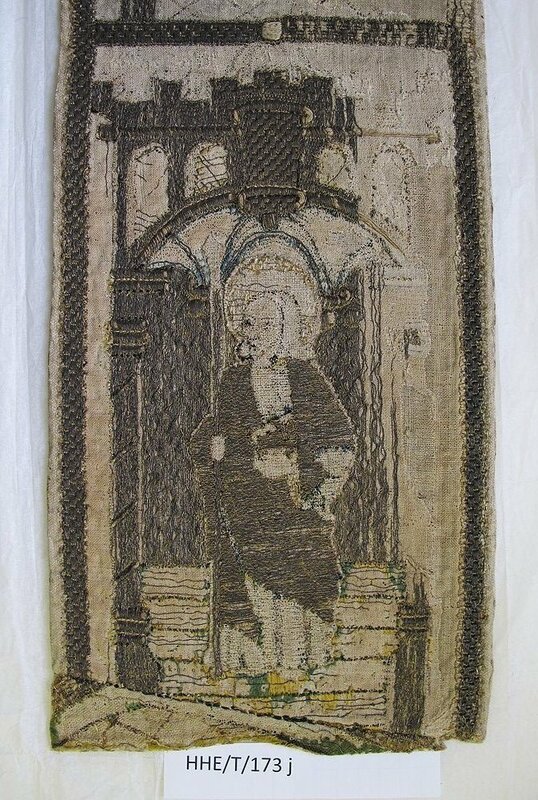 The pieces will be shown in various exhibitions over the coming years. 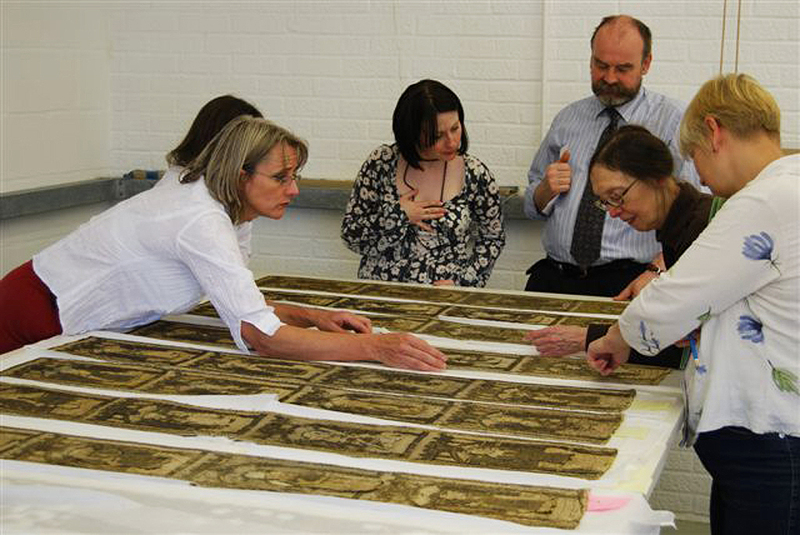 Our work is to improve the appearance of the fragments and to make them safe. 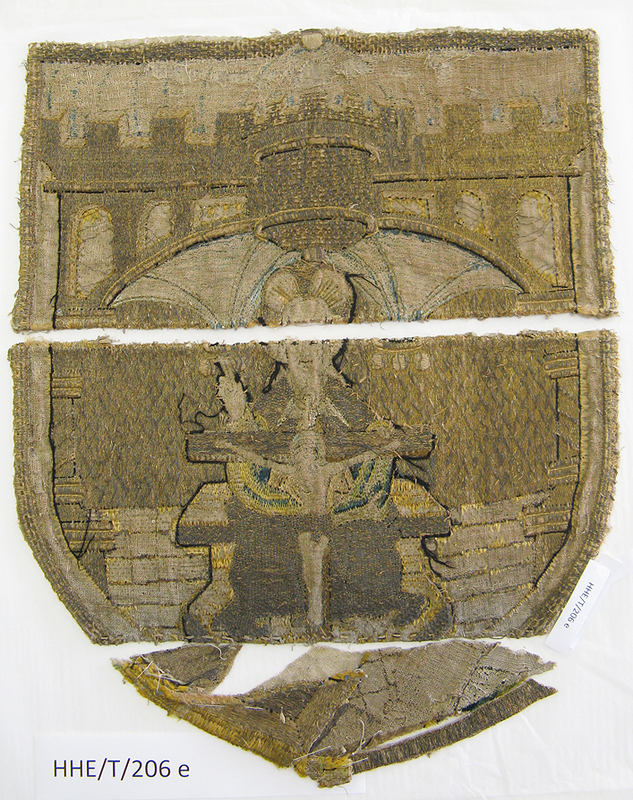 The pieces were wet-cleaned using conservation detergents. 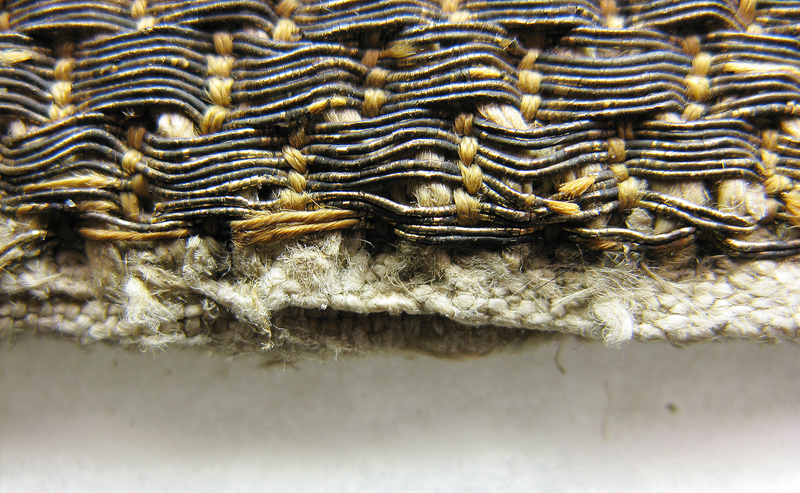 The loose and lifting elements were secured by stitching with fine threads in matching colours. 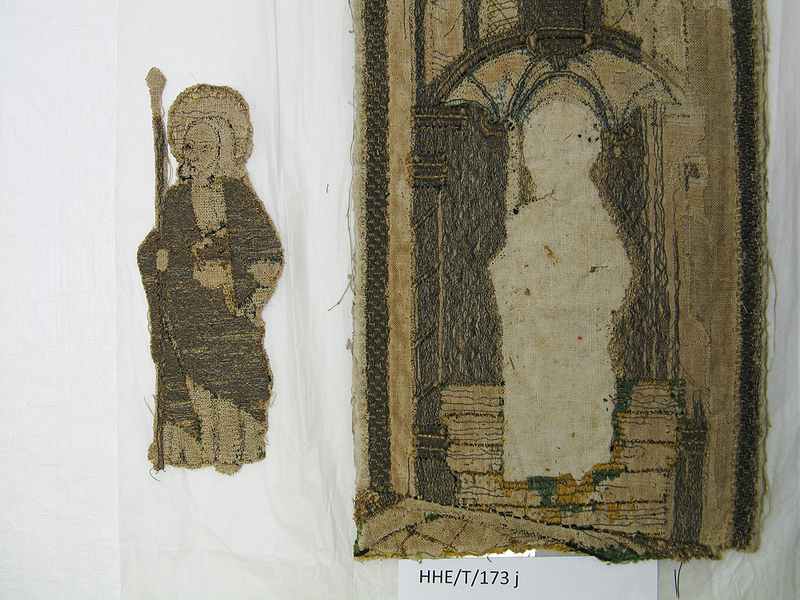 What makes this project so fascinating is the detailed technical observations we are required to make, to assist the curatorial research into the origin of these fragments and how they are linked to other textiles at Hardwick Hall, made from the same vestments.